The past couple of posts that I've made here on the blog have been related to building links. I'm going to continue that trend, as its both a highly complicated topic, and a highly controversial one depending on the approach you take. 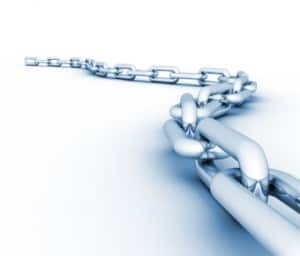 Building links also continues to be very important to rank your sites in Google. 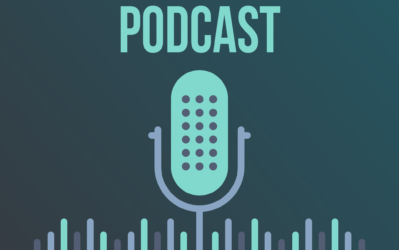 The recent Panda and Penguin updates have penalized sites with poor content and poor link building practices, so its becoming even more important to re-analyze the strategies that you are using. Last week, I kicked off my series of posts about link building with: Link Building for Micro Niche Sites vs. Authority Sites. Then Tyler Herman submitted a guest post last week called: Building a Quality Link Profile. Both of these are a good start to get some basics on building links. However, so much more detail needs to be covered! Today, I want to dig into how you can get the same backlinks that your competitors have. Why Copy the Links of Your Competitors? The reason you should want the same links as your competitors is simple. With those links, they are ranking in Google! Provided your site has great content and is relevant to the keywords you are targeting, if you get the same links as your competitors; the chances are that you can rank in Google as well! Obviously this is only the beginning, you should try to copy as many links as possible, but then you should go out an acquire additional links as well to ensure that you rank above them. Not only will mimicking the backlinks of your competitors allow to see what they are doing, it can open your eyes to alternative link sources that you can potentially use in the future on OTHER sites as well. My favorite tool to see what sites are linking to other sites is OpenSiteExplorer.org (free trial membership here). Let's take a concrete example, so that this process sinks in. Imagine you are building a site centered around the keyword: “dog obedience training”. First, lets do a Google search on the keyword, dog obedience training. Then we can start analyzing the links for the sites that are ranking in the top 10 for this keyword. One of those URLs ranking is: www.perfectpaws.com/whytr.html. One important aspect to know about the links showing in Open Site Explorer is that they are ranked by Page Authority. This means that the strongest links are listed at the top and the weakest links are listed at the bottom. So, if you are trying to copy links – focus as much as possible on those near the top. You will notice that several of the links listed are from its own site: perfectpaws.com. So, ignore these, as there is nothing you can do about that. However, you can then start going through the links one by one to find potential link locations that you CAN use. 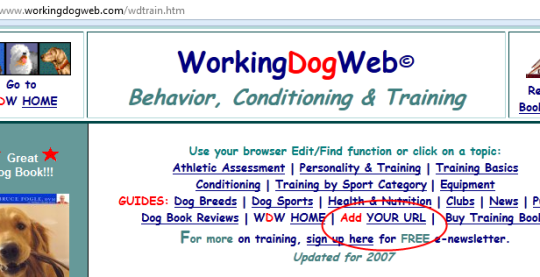 In this example, I have found several links that I could copy if I was targeting the keyword dog obedience training. Here are the links that perfectpaws.com/whytr.html has that I believe I could also get. uncyclopedia.wikia.com/wiki/Neurotypical_syndrome (perhaps not the exact same link, but since its a wiki, I could likely find a relevant page on wikia.com to link to my site from). http://www.workingdogweb.com/wdtrain.htm . See this image below and you will notice that they allow people to submit links to their own sites! http://www.squidoo.com/Rudepets-com—help-save-these-pets- . You can obtain a link from Squidoo just as easily as they did. http://www.workingdogweb.com/wdcompet.htm . Another link from the same WordkingDogWeb as shown in the image above. Just submit your URL to this location as well. www.helium.com/zone/2234-dog-training . Helium is an article directory; you can also submit an article there. This is just a few of the links that you could potentially get that are shared by this competitor. After obtaining as many of these links, you can then move onto the other 9 sites ranking in the top 10 for this keyword and find lots of other places to acquire links as well! Hopefully this gives you a clear picture of the overall method. As a disclaimer, I'm not claiming that “dog obedience training” is an easy or good keyword to go after; this was just an example. Obviously, you won't be able to get the exact same or all the links of your competitors, but this will at least get you started. If you want to start analyzing the links of your competitors, you can get a 30-day free trial to Open Site Explorer here. I use it on a regular basis. Not only will going through this exercise of analyzing your competitors allow you to find link locations for your current site; it can also help you create a database of potential link locations for all future sites. 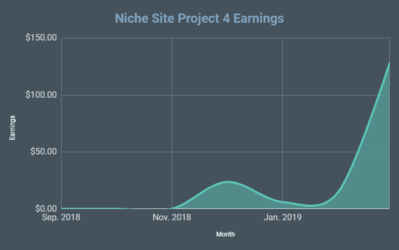 As you start analyzing the top 10 sites, I would recommend keeping a separate spreadsheet or database of all link locations that would work for other niches or sites as well. For instance, in the example above; I would save the site WorkingDogWeb.com as a link location that can be used for any site in the dog niche. I would also jot down wikia.com, squidoo.com, and helium.com as potential links for any general niche. Of course, the more links you analyze, the bigger your database you will create. You will be surprised how many sites like workingdogweb.com there are that you can easily obtain links from. Overall, this practice will increase your overall knowledge of what's out there and will dramatically increase your ability to create a diverse link profile. Overall, this method should help you get started with a great base of links pointing to your site. It may or may not be enough to get you in the top 10 for your chosen keyword, but it will certainly help you get started on the right track. After all, if you are able to get the exact same links as your competitors, you know you are doing at least as much as they are in that department. I would love to hear your thoughts! Have you employed this method and had success with it? What other comments or questions do you have? Great tips! 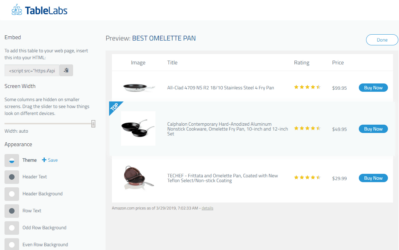 That open site explorer website is pretty cool. 2. How many visits do your top performing sites get in regards to adsense. Definitely comparing your links to your competitors is a good idea for both authority and niche sites. 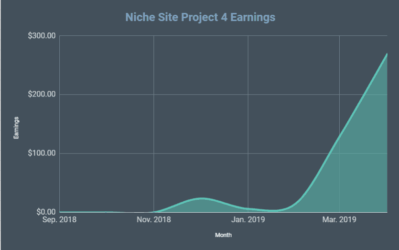 When I was doing a bunch of niche sites – it seemed like using this tactic helped a lot. In my experiments, I have found that it’s also effective to just reproduce those same TYPE of links. For example, if you notice that your competitor ranks at the top of Google and primarily has a lot of links from forum discussions, you could reproduce this backlink profile using a different forum and it’s equally effective. However, I strongly believe that Google is now paying attention to the relevancy of the link. So, no matter what you do, make sure your links are contextual. Great point Bradley. I agree that getting the same type of links can be a big help. Thanks for the informative post Spencer! I have tested this method earlier and the problem of this method is to obtain most of the links you have to contact with the admin of those sites for guest post or so. Yes there are some sources as well from where you can get a link for free (web2.0 etc). 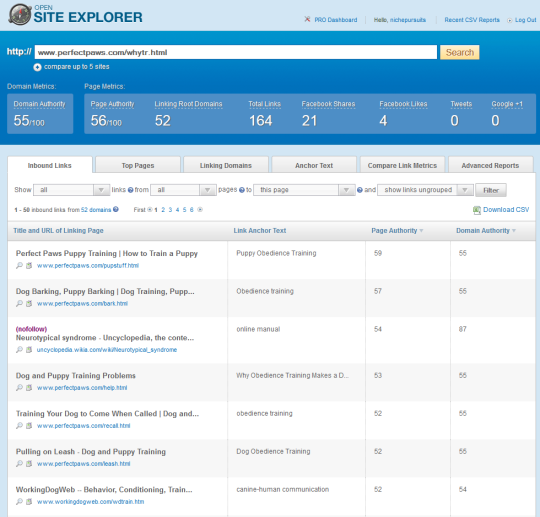 I also use scrapebox and seo spyglass to spy on competitor link profile. Again these are some time consuming processes as you have to spend a lot of time to sort out the obtainable link sources. I wouldn’t recommend going after links that you have to email the website adminstrator. Go after the links that can be obtained by submitting articles, adding your site to a directory, or otherwise can be obtained on your own behalf. My SEO methods are based on this =) This strategy seems to be the most google changes-resistant during several years. THe only difference is that I tend to use SEOSpyglass and judge the particular link power by my own evaluation, by looking at it. Yes, exactly like Bradley said, uncover their overall linking profile, and overtake it “their” links and own resources. Top 3-5 is not uncommon even after Penguin. Glad to hear this method has been working for you Anton! Great method – I use Majestic SEO and Ahrefs to do just that. Works magic. This method and post is actually quite helpful to me. I’ve been pretty apprehensive about link building and have yet to do any at all for my niche sites. This makes perfect sense though, duh! Of course the link profiles for sites that are still ranking can’t be all that shady. I’m definitely going to give this a try, as this is something that had not occurred to me. Thanks Spencer! Great…glad you found it useful Matthew! 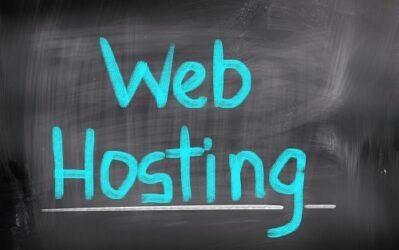 awesome article, I think I will check out this open site free trial tonight! maybe this will give me that last little boost to get those last few spots on a couple keywords. what about competition that has no links? is there a basic linkbuilding strategy to follow? btw, LTP has been a great product, great for speed KW research. i use it for this and then move on to ahrefs for the rest. i like seo spyglass but the user interface is a bit clumsy and written by coders first, with users secondary. the cost is good and overall better than the others, just need to get used to their style of delivery. In open explorer there is filter where you can list only follow and external links. just try to use that opensiteexplorer. and found that my site hasn’t had any followed external links. If your site is new (less than a few months old) nothing will show up. Whats Taking place i’m new to this, I stumbled upon this I have discovered It absolutely useful and it has aided me out loads. I hope to contribute & help other users like its aided me. Great job. Spencer, you give us so much value with every posts you write, it’s truly amazing. Thank you. One of the easiest way to get backlinks is by looking at those of your competitors. I use market samurai for this. I’ll compare it with open site explorer and see what I get. This was very helpful in developing a link building strategy. To reverse engineer the success of my competitors makes sense. This is something I’ve started implementing for my sites……I like ahrefs for link info.